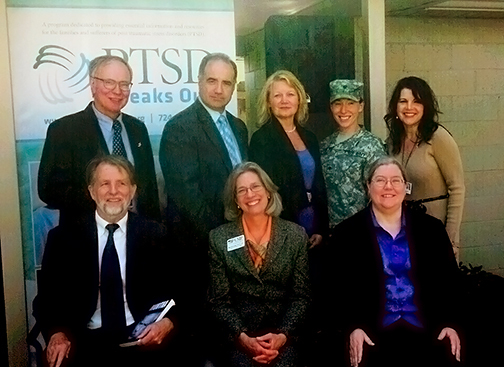 As institutions promoting health, wellness, educational excellence, and responsible citizenry, it is our mission to create and sustain a forum through which those affected by PTSD can share their story and access tools that aid in treatment. Highlands Hospital is committed to providing a holistic approach to behavioral and mental health disorders, offering Fayette County’s only in-patient curriculum. The scientific community comprised of faculty and students at W&J College offer an academic element that brings greater understanding of PTSD to the public and those affected. By combining our expertise in behavioral health with the rigors of scientific research and study at the nation’s oldest four year co-ed liberal arts college, we are proud to be a beacon of support, hope, and effective treatment for those suffering from PTSD. Through the cultivation of knowledge and connection, this partnership is intended to serve you, our neighbors and fellow community members, with resources that empower and educate.